This is a curved square Duck Head Overalls porcelain sign. This particular Duck Head Overalls sign is navy blue with white text. 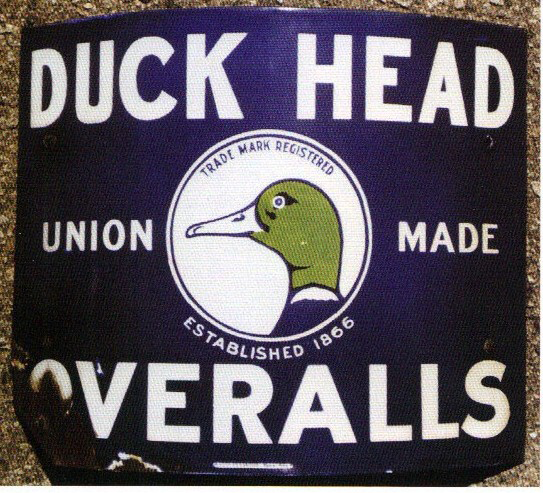 It reads, “Duck Head, Union Made Overalls, Trade Mark Registered, Established 1866” and features a green and blue duck head in the center.